It's a bright sunny day and the merry lambs are out having fun! But these are the same lambs Ann is searching for! 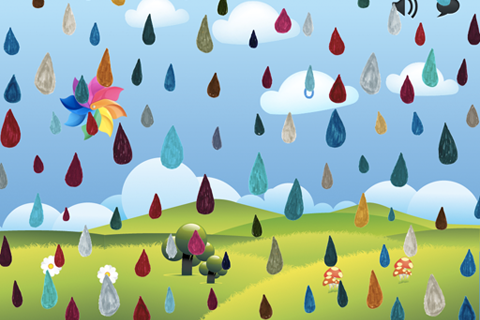 However, be sure to do so before the rain comes, and chases the merry lambs away! 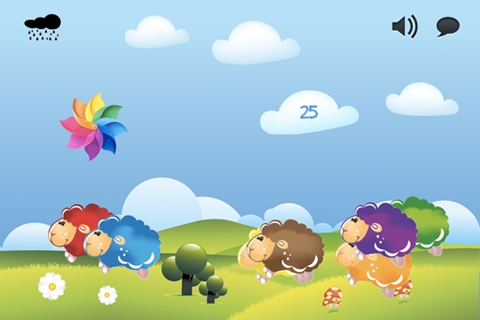 Merry Lambs is a kids app that teaches kids about counting and identifying colors. Learn how to count with the Merry Lambs. Learn different colors and how to spell them. Learn different elements present in Merry Lambs. 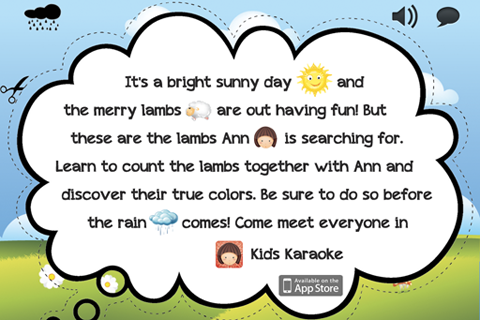 With interesting and colorful graphics, do not miss out the fun learning experience in Merry Lambs! Best for kids aged 2-4 years old. So download it for your toddler now!